First of all, my apologies to cacb for re-purposing his topic title, but it’s pretty much what I envisioned naming this thread when I first started looking into alternate means to head a bed. I’ve been happily printing PLA over the last few months, but now that I have a large project out of the way, I want to experiment with ABS and other more exotic filaments. At some point in the future I will definitely invest in a conventional heated bed, but until then I wanted to find something that was (A) inexpensive, (B) didn’t require purchasing an additional power supply or (C) didn’t involve soldering or extra wiring. Ideally, I wanted a heat source I could simply plug into an outlet to warm my bed. At this point, I’ll gladly sacrifice temperature adjustment for simplicity. I looked exhaustively all over Amazon and eBay and finally stumbled upon battery heating pads for cars and other vehicles. Those of you living in more northerly climes are probably all-too familiar with them, but living on the Central Coast of California, I had no idea these things even existed. (My family lived in Northern Utah until I was eight and I do remember having to plug in the car on cold winter nights, but at the time I thought that was to keep the water in the radiator from freezing). There are a number of different sized pads each with varying wattages. My printer bed is 150mm x 240mm, so I opted for the 5.5” x 8.5” 60 watt version. I decided to use aluminum for the bed to aid even, quicker heat distribution and picked up a .125” thick sheet 6” x 12” off of eBay. I attached a thermocouple probe between the heat pad and the Al sheet to act as my thermistor. I looked into several insulation options and found a felt plumbers pad while searching Amazon which is fairly cheap & I could easily cut it to size with scissors. I then sandwiched the battery heat pad, the felt pad and two layers of aluminum foil between the aluminum sheet and a sheet of black ABS I had lying around (I wanted to ensure the PLA spacers I printed to enlarge my print bed wouldn’t be affected by the heat). Here’s the whole thing assembled. I’m sacrificing about 1” in the z axis, but up to this point I have yet to print anything over 5” high anyway. The heat pad tops out at 120C, just the right temp for ABS! Of course, the real test would be getting an actual ABS print to stick. I loaded up a roll of Hatchbox black ABS, plugged in the heat pad & set the hotend to 230C. I'm super happy with how everything has turned out. I'm starting out small and over the next few days I'll see if I can get larger prints to adhere, as well. I can't wait to try Bridge Nylon next. Very cool .... eehhh hot No need for apologies. I like the unconventional ideas, and sometimes they do work quite well. This looks like a good example! Since this is a poor man's solution, how much did you save compared to the printrbot heated bed upgrade? As you say, you don't have automatic temperature control this way, but it is still an excellent idea. I use the standard heated bed for PLA also, but 120C is a bit too hot for PLA, so your solution looks like ABS only. I guess it is possible to add temperature control via e.g. a raspberry PI, but of course then the complexity increases and you might then be better off with the standard printrbot solution. It would be interesting to hear more as you gain experience with this setup! If you are very patient, you can probably control the temperature fairly well by various means of throttling the 110VAC input to the heater. A Variac is one possibility, but that's fairly bulky and expensive. You might be able to use an "infinite" control switch from an electric stove or hotplate: these work by switching the current on and off every few seconds, and they are smaller and less expensive than Variacs. The control will still be "open loop" - you set the percent power manually - but it's better than no control at all. cacb wrote: Very cool .... eehhh hot No need for apologies. How about this, im not sure that the sensor will tolerate the flexing, but a $6 it may be worth a try. There's adjustable ones if you want to search for them, but they're quite a bit bulkier. EBay is full of cheap digital PID controllers that will give you better temp control, iirc my 120V version was somewhere around $20 with an SSR and sensor. Since this is a poor man's solution, how much did you save compared to the printrbot heated bed upgrade? In the Printrbot store they're asking $99 for the heated bed upgrade. You could easily get all of the components for a heated bed individually, but depending on how much extra shipping you'd pay, it's tough to measure how much you would save. Then there's the cost of a power supply which run anywhere from $20 to $50+. Depending on your own printer configuration, you could easily eliminate several several components and save a bit more. Plus, Printrbot claims a max temp of 80C and the bed is 6x6, I wanted a higher temp over a slightly larger print area. My biggest goal was to circumvent having to rewire anything on the Simple, itself. I just don't have the manual dexterity to put the upgrade kit together. If you are very patient, you can probably control the temperature fairly well by various means of throttling the 110VAC input to the heater. I was tempted to try something like that. 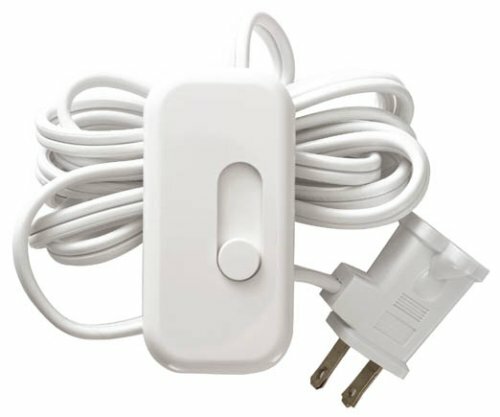 I found this dimmer switch on Amazon, but again it would require rewiring. Then this morning I continued looking at dimmers, this time focusing on dimmer plugs and I came across this. I'm going to order it up and see what kind of temperature control I can achieve. ktfergus wrote: Then this morning I continued looking at dimmers, this time focusing on dimmer plugs and I came across this. Not a bad idea. I have one of those at home in the bedside stand. Those things are designed for resistive loads, meaning resistance heaters (incandescent light bulbs are resistance heaters that just happen to get white-hot). 300 watts should be more than enough capacity for you. The only downside is fairly poor "resolution" on the setting scale. You probably want to have another On/Off switch in series so once you find a good setting you won't lose it. You probably want to have another On/Off switch in series so once you find a good setting you won't lose it. That might work. I figured once I found useful temps, I'd make tick marks on the slider housing with a sharpie. So indeed some saving, but it depends a lot on where you are. Here in Norway we have insane rules for import and VAT. Anything costing more than the equivalent of about $45 (for the item and shipping) is greeted with 25% VAT + the equivalent of $18 in fees for the privilege of being allowed to pay the VAT. That gets very expensive very quickly. If you have to import from several sources it is a losing game. Cheap items from China with free international shipping solves this problem for us, however. I like your unconventional solution, but for us it is not much to save when comparing with the printrbot original. Try taking the felt away from underneath. 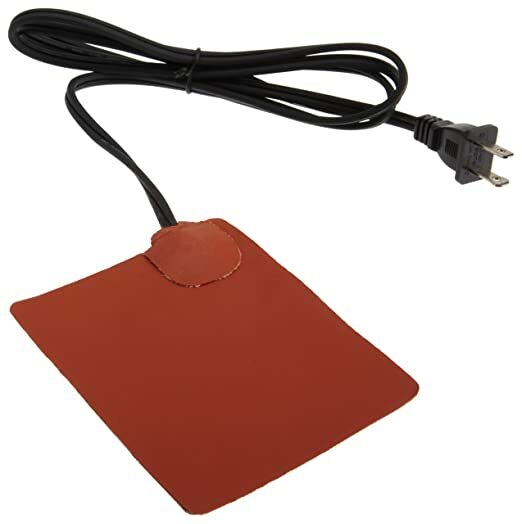 Or just buy another heating pad with a bit less power... if 60W gets you 120 degrees, try the 50W one at $19.99? For a very cheap thermocouple unit, i bought 4 and they are double plus usefull. Accurate to +- 1c. @thawkins: thanks for the link, I'll pick one up the next time I place an order from Amazon. That'll save some desk space; I might even print out a mount for the printer. It printed out fine, no curl. I've been getting great results printing PLA on my unheated PolyCarb bed, but it looks like with this set up I can print both PLA & ABS on the aluminum; I'm a malanky bit sad to retire the PC bed, tho. The only downside to the dimmer at this point is that it limits the bed temp to around 105C when the slider is at 100%. I've completed several sucessful small ABS prints at this bed temp, however, & if I run into problems in the future I can always remove the dimmer when printing ABS. Under "advanced" I lowered the first layer from 200% to 175%; 200% has worked well for PLA but with ABS it seemed to be over extruding, and left little globs of material all over the first few layers which interfered with the hotend. In the coming week, I plan to try Bridge Nylon & Ninjaflex, both of which I've been dying to use for several projects. From what I've read, Ninja prints well at 215C even on an unheated bed. I'm going to try 215C and a bed temp of 50C. I've also read that Bridge nylon needs higher hotend temps, aprox 245C. I'm going to try 245C (if the ubis will let me) and a bed temp of 50C, as well.